You can't have a great day on the water if it's raining, but, in Midcoast Maine, you can still have a good time. First off, seafood always tastes better when the weather's bad. 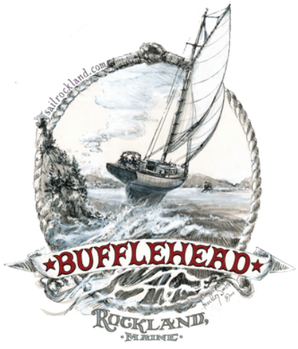 When you're enjoying that cozy meal at any one of the restaurants mentioned on this page, go through this handy list and you're sure to find something to help (almost) forget about not sailing on Bufflehead that day. ﻿Coastal Children's Museum, located in the South End, close by Rockland's own ﻿Steam and Sail Power museum﻿, a great place for kids, especially good rainy day activity. ﻿Farnsworth Museum﻿ , world famous, great art museum. We're just getting started, actually, here are more than twenty other suggestions for a rainy day in Midcoast Maine. If you still can't decide on what to do, then leapfrog from store to store on Main Street in Rockland, then do the same over in Camden. By the time you're done, it'll be time for supper.